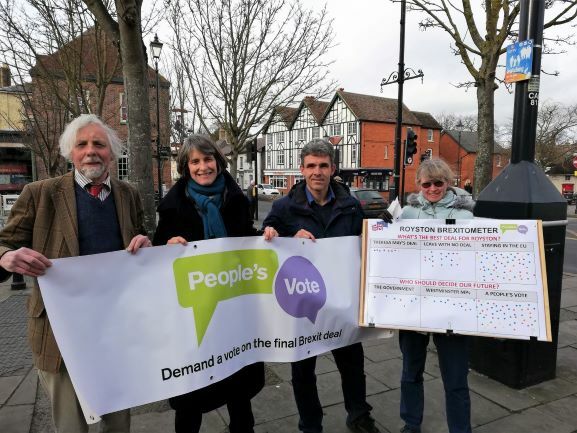 Out in Royston on Saturday morning for non-stop conversations with passers by, hearing which Brexit outcome they’d like to see and who they think should make the final decision. Overwhelming favourite: Remain in EU. Who decides? Overwhelming favourite – People’s Vote. Government credibility made a poor showing overall. Check out the coloured dots in the picture to see where people put their mark.